Not all rent-to-buy vehicle financing companies offer good deals. Read the fine print, check out their references and testimonials, and browse a few sites to see what other people are saying online about the company. Different rent-to-buy companies will have different administrative and financial requirements. At Earn-a-Car for example, you will need to submit proof of income, be able to make the R3 000 – R5 000 monthly payment and make an upfront payment of R16 500 which includes first months payment. Make sure you’ve got all the requirements met before you choose your car. Earn-a-Car offers a R300 per month cash back to use at the end of your contract term. This cash can be used to buy the vehicle that you are driving or as a down payment for another vehicle, for example. 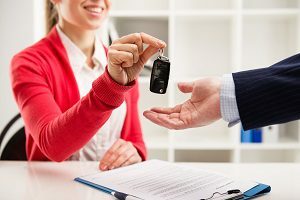 You don’t want to get locked into long contracts, so make sure you have a time estimate on how long it will take to earn your car. At Earn-a-Car, you can own your car as quickly as you like. Depending on your financial situation, you can take ownership of your car sooner. It all depends on what you can afford. This is the fun part! Browse through the range of cars online and make sure you get a car that you are truly comfortable with. At Earn-a-Car, your monthly instalment includes warranty, vehicle roadside assist, accident cover and a tracking unit for extra peace of mind.